The first edition of this deck was by Llewellyn in 2001, a second edition followed in 2008 by Galde Press, the Russian Edition has no date. 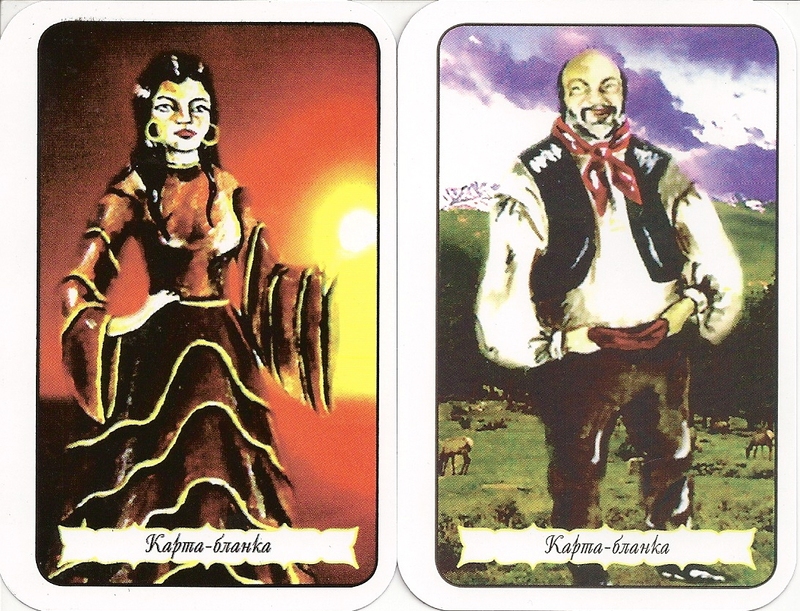 The Russian Edition came with two extra cards "man" and "woman". It has borders while the original edition was borderless. The titles on the minors are in Russian. 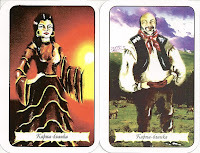 The cards images are based on the tradition of the Gypsies of England. They show natural landscapes set in time pre-1950 and gypsies and gypsy caravans in various states of decoration. 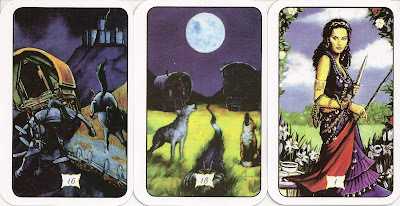 In almost every card it is possible to see the sky, which is coloured appropriately for each suit - Wands are a golden-skied dawn, Cups are a rainbow blend, Swords bleak and snowy, Pentacles the blue skies of the afternoon.